The superior quality and rugged manufacturing of these microphones makes sure that you get the best performance from your equipment. Each microphone is individually balanced and tested to insure optimum results every time. Every microphone is supplied with a bracket brace for additional support. Now with a stainless steel reinforced rear and shock absorbing compound lined interior, to make these microphones practically unbreakable. For use with the BRB, Canterbury wired and wireless systems. 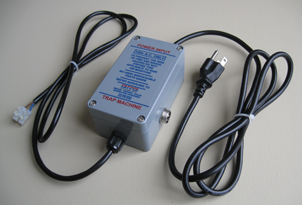 This unit uses a high grade encapsulated transformer for better durability and lifespan. Available in 12V, 120V & 240V versions. The exceptional flexibility of these cables and oxygen free copper conductors make for ease of use and enhanced vocal effectiveness. 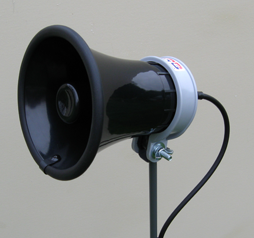 Suitable for use with both the BRB Systems and the wired Canterbury voice release system. Supplied at an unbeatable price so that you can afford a spare. Our confidence in the quality of this unit lets us offer it with a 2 year full parts and labor warranty. 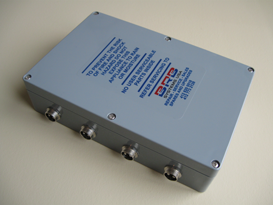 The combination of vandal proof/waterproof stainless steel switches, a rugged shock absorbing compound lined ABS enclosure & 60 ft. of our ultra-flex cable, make this the toughest, best value, button box on the market today. High quality plugs and sockets for those confident to make their own repairs. We service, repair and upgrade Canterbury Voice Release Systems. Supply high quality aftermarket parts and accessories at UNBEATABLE prices. 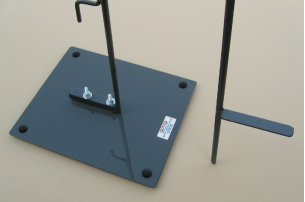 To place an order or for more information on our spares, repairs and upgrades contact BRB SYSTEMS USA CO.
© 2010 BRB Systems USA Co., All rights reserved.